What Are Angel Messages & How Can You Tune In? You can learn to receive angel messages… Because you have angels! Everyone does and honestly, your angels are probably closer to you than you might think. Angels are always helping from behind the scenes, and with awareness, you can learn to consciously tune into their messages of guidance and access their assistance. Yes, you read that correctly, you can learn to directly receive angel messages for yourself. Connecting directly with the messages of your angels will help you to validate decisions, align with angelic healing, gain deeper insight and spiritual understanding, and to know the next best steps on your path. Angels are incredibly high vibrational spiritual beings who exist on a different frequency than we are normally accustomed to tuning into from the physical realm. They are powerful Divine messengers who work around the clock (outside of time and space) to carry out God’s will. Sometimes angels take on a tangible physical form to help. Angels have also been known to offer powerful protection without us ever knowing for sure it was them helping. Other times, angels deliver messages in the form of signs and symbols, or by triggering little insights, gut feelings and synchronicity to steer you clear of harm and danger while pointing you in the right direction. Ultimately, angels seek to serve you in aligning with increased fulfillment, joy, love, and with more of your authentic truth and soul purpose. By opening up to receive angel messages, you can start allowing increased help from angels into your life in a real and powerful way. Chapter 2: What Are Angel Messages? Chapter 3: How Can Angel Messages Help Improve Your Life? Chapter 6: 3 Super-Simple Steps to Receive an Angel Message Directly! Chapter 14: A Can’t Miss Way to Connect With Your Angels Messages! Angels are spiritual beings of love and light from the higher planes of existence. They exist outside of the constraints of time, space and ego, which allows them to exist in direct communion with the Divine at all times. This connection with the Divine enables angels to act as Divine messengers for us in the physical realm. Angels do not have free will as we do, rather they are completely aligned with Divine Will. As highly evolved spiritual beings, they honor your free will and will not interfere in your life without permission, unless for a specific Divinely guided reason. However at the same time, angels do want to help you in your life. When asked for help, there are no limits to the areas of life angels can offer their Divine frequency and assistance. Angels offer powerful guidance and support in understanding how you can live in alignment with the intentions and desires of your soul and higher self for this life. Angels are incredibly compassionate, powerful, and they vibrate at such a high frequency, they are visibly and naturally filled with light. If you’ve not yet seen, or heard an angel, it’s simply because the vibration of angels is beyond what you are able to normally perceive with your physical senses (though angels do sometimes choose to manifest briefly in a physical form when needed). The majority of the time to connect with angels requires lifting in vibration and opening your subtle psychic senses to perceive and experience in the higher spiritual and angelic realms. Angel messages are quite simply messages of guidance, wisdom, and insight from the angelic realm. Contrary to popular belief, Angel Messages aren’t only heard or received as a direct stream of rationally organized ideas. Many people receive angel messages through dreams, impressions, visions, downloads, feelings, or by just getting the overall sense of what the angels are conveying. How you receive angel messages depends on how you naturally perceive the physical and spiritual realms. You can learn to develop any number of your subtle psychic senses to receive messages from the angels. The easiest way to do this is to start with the psychic sense that is most natural to you. There are also many tools available to help you tune into angel messages. Keep in mind that the angel’s messages are available to you directly, and available equally to all. There is however nothing wrong with getting help accessing their guidance, and leveraging the resources available to you to raise your vibration, attune your energy, and increase your connection with the angelic realm. By raising your vibration, opening up energetically, tuning into your subtle psychic senses, and dialing into the right energetic frequency… You can tune into the many benefits of connecting with the messages of angels for yourself! Connecting with your angels and receiving their messages really has so many benefits, which can have a positive impact on every level of your life experience. Tuning into the angels messages can help you to feel vibrantly healthy, mentally clear, loved, joyful, and positive about your life and the opportunities before you. Your angels will help you to remember who you really are, why you’re really here, and to know the steps to take to align with your highest purpose, and the wonderful possibilities for your future. Your angels can also help to align blessings in your life, attract your soul family, and bring you into alignment with being able to help others and contribute your unique skills, gifts, and abilities to make a difference for everyone on Earth. Angels also offer powerful protection, and can help you to feel nurtured, comforted, and loved. They can help you to heal, raise your vibration, open your spiritual gifts, and even help you to heal others. Help from angels comes in many forms, sometimes directly, and other times they will inspire others to help you or work with the law of synchronicity so that you’re in the right place at the right time. Ultimately angels seek to align you with your highest and best possible path through life, with is naturally rewarding, joyful and positive for you, and also for those whom you encounter. There are really so many different angels who are ready, willing, and able to help you navigate through your life in the physical. You have at least two guardian angels on your spiritual team, and at least one Archangel who you’re closely connected with. Plus there are tons of angels who come and go depending on your current challenges, your life purpose, and what you need help with in the present moment. Some angels specialize in healing, others in delivering messages from the Divine or from deceased loved ones. There also are warrior angels, protection angels, teaching angels, guidance angels, guardian angels, angels of wisdom, creativity, joy, inspiration, passion, laughter and so many more. There are even angels whose purpose is to watch over certain locations, the Earth, other people, projects, and even ideas. If you would like to start experiencing angels, hearing their guidance, or catching a glimpse of their brilliant light, infuse your consciousness with angels! Thinking about angels, reading about them, listening to angel messages, talking about angels, and asking for angelic assistance will start to bring you into alignment with angelic beings. Call in the angels of healing, protection, inspiration… Ask for their assistance and intervention in areas of your life where you need help, and then be aware and open to how their assistance manifests. If you don’t know which type of angels to call upon, just ask that all angels whose assistance would be appropriate with a challenge, situation, or scenario, to come in, connect, and help you now. To see, hear, feel, and know the presence of angels… Start working to lift your vibration to energetically attune to these incredible spiritual beings so you can start hearing, and knowing their guidance and messages directly. Want to learn about the Archangels and who they are? Click Here! When it comes to connecting with angels, and receiving their messages, raising your vibration is key. When your vibration is clear, light and high it’s much easier to get accurate and clear information from the spiritual realms. Raising your vibration can be as simple as surrounding yourself with light and angels. A great way to do this is by meditating! Specifically, taking the time to relax and press pause on the spiral of thoughts of your mind. This can definitely take some practice to get the hang of, but it’s well worth it! Meditation helps you to let go of the clutter, fear and density in your mind so you can directly receive messages from angels. Meditation doesn’t have to be complex, challenging or even long! In fact you can accomplish meditating to raise your vibration by just sitting in a comfortable place while surrounding yourself with light as you focus on your breathing. Relax, close your eyes, and ask to be surrounded with white light and angels. Once you set this intention, consciously breathe in and be aware of your breath. Then pause. Next consciously exhale and be fully aware of your breath again. You are breathing, but you are not the one who breathes. Step back into a position of observing yourself from the outside… This is a powerful skill to master that will help you to lift your vibration, and tune into the guidance of your angels. Continue with this visualization, imagining you’re breathing in pure light that is nurturing your entire being, and as you exhale, let go of any density, lower vibrations, stress, or negativity. Feel the presence of the light, love, and your angels around you. Breathe and fill your body, mind, and spirit with light and love. Feel the light infusing every cell in your body with light as you open your heart and lift higher. 3 Steps to Receive an Angel Message Directly! When you’re able to successfully quiet your mind, and raise your vibration with light and love… You’re ready to connect with the angels directly. This can be done with three simple steps, starting with a clear intention. While angels are always sending you subtle guidance and nudges to keep you moving in direction of your soul’s true purpose, they honor your free will, and so there are many areas of your life they will not interfere in without your permission. In other words … Yes, angels are always helping you, looking out for you and protecting you, but they also give you the space to make your own choices, choose your direction, make mistakes, learn lessons, and explore all the many possibilities of living as a physical being with free will on Earth. However, when you invoke the presence of your angels, and ask for their help and guidance, it’s literally like opening floodgates for increased light of the Divine to flow into your life. When you ask your angels for help, suddenly there is an exponentially larger amount of Divine light, help and guidance from the angels that is able to reach you. So, to invoke your angels presence to receive a message… Set the intention, and ask for the angels to help! There’s no specific right or wrong way to do this… You can use this simple invocation, or change it up and make it yours… It really doesn’t matter, the important thing is that you set the intention to connect with your angels and ask for a message! When you ask your angels for help and guidance, they will always answer. Relaxing will help you to tune into it. Take a deep breath, relax your body, and consciously quiet your mind as you focus your awareness within. Visualize light all around you, and just be, breathe, and remain softly aware of your surroundings. When your mind is calm, and you’re in a relaxed, peaceful state you’re able to more easily and with more detail and clarity receive messages from your angels. A busy, chaotic and turbulent mind, or a highly emotional state, acts like static blocking your ability to hear the messages from your angels. A beautiful visualization to calm your mind and emotions is to focus within and imagine your mind and energy becoming like a beautiful, clear and glassy lake. See the pure and pristine waters as being perfectly still, calm, and tranquil. This relaxed and peaceful state is conducive to receiving messages from your angels. The stiller your mind and emotions, and the more relaxed you are, and the more clearly you can perceive with your inner senses required to receive angel messages. Angels are beings of an incredible love vibration. They speak the language of light and love, and therefore it is your heart center located in the center of your chest, that acts like a doorway to the angelic realm. Although angels can and do make themselves known through our physical senses, much more often than not they will appear and offer guidance on the inner planes. By focusing on the area of your heart chakra, imagining your heart glowing with light and love, you can powerfully shift your awareness to meet your angels and their guidance where they are. Breathe, focus on the area of your heart chakra, and imagine the doors to your heart are opening wide, filling your heart and your entire being with increased love and light of the Divine. Keep focusing on opening your heart, and letting love flow within and all around you. Relax, breathe, and just remain open, present and receptive to the guidance and messages from the angels that appear. How the angels communicate with you might be different than you’re expecting it to be… For this reason it’s valuable to set aside any expectations, and just pay attention to what does transpire when you ask your angels to make the connection with you. However, even when you’re ready, focused, and you ask for a message, hearing the angel’s messages is not the same type of listening as when a friend comes and knocks on your front door and starts talking to you. Angels are always communicating, but tuning into their guidance is much more subtle than talking with someone who is also a physical being. If you’re wanting to connect with angelic guidance, you’re asking for help, seeking to make the connection and still not getting anywhere you may need to change your perspective on what connecting with angels is really like. You may need to release expectation and just be open to how the connection occurs for you. Feeling angels is perhaps the first and most common way the presence of angels begins to be made known. You may be waiting to clearly hear an answer, but angels typically communicate telepathically. So rather than learning to hear the voices from angels externally, you’ll want to learn to distinguish the difference between your thoughts, and the guidance angels are telepathically sending you. These four senses, sometimes called the 4 C’s are the most common ways of directly receiving angel messages. Let’s take deeper look into each of these senses now! Directly hearing guidance from the Divine, and from the angelic realms, is made possible through the subtle psychic sense known as clairaudience. When you “hear” angel messages, the voice may appear to come from outside of your being, and you may right away know it is guidance from your angel, but it may also just seem like your own inner voice you’re tuning into. When I hear the angels’ messages, they most often appear in my mind in a gentle inner voice, as a stream of consciousness alongside my own. With practice and awareness I’ve noticed the messages seem to be in a slightly different part of my mind, and much lighter feeling when compared to my own thoughts, this helps me to tell the two apart. On a few occasions, I have heard the messages of the angels loudly and clearly from outside of my being. The most recently was when I was considering a move back to my hometown, and asked the angels for guidance in making the decision… I was standing in the kitchen, and heard loud and clear “forward not backwards sister”. This angel message came from outside of me, and I heard it so clearly that I looked around for a moment afterwards to see if someone had walked into the room and spoken to me. But I quickly realized it was guidance from the angels that I listened to, and am glad I did. When you first start to tune into the angels’ messages clairaudiently, you might feel like you’re imagining hearing them and just making it up yourself. This is especially true when you hear the guidance internally in a voice that sounds like your own. If this is the case, ask the angels to help validate you are hearing them, by giving you a sign. I would also recommend asking for their assistance in increasing your sense of seeing and knowing to further validate that you are indeed receiving messages from the angels. If you think you hear something, but it’s too faint or fast to comprehend… Quiet your mind, open your heart and ask your angels to repeat what was said a little bit louder and more slowly so that you can clearly hear. Your angels want to help you learn to hear their guidance and receive their messages, and they are happy to help you learn to tune in. Keep in mind that angel messages are always uplifting, loving and empowering. If the messages you receive are harsh, negative, or give you reason to be fearful… You may be hearing your ego, or there may be some other type of interferrence, but one thing is certain, you’re not hearing angels! Call in the angels to cleanse and protect your energy, surround you with white light, and then consciously clear your mind and open your heart before tuning in again. If you are hearing positive, consistent, and oftentimes repetitive guidance, pay attention, as these are common characteristics of angel messages. Angels want to get their point across, so they will keep repeating similar guidance (sometimes in slightly different ways) until you do finally ‘get it’ and take action. Hearing the guidance of the angels may also be more subtle, such a hearing a slight ringing or beeping in your right or left ear. Based on my experience, hearing this in the right ear offers validation and encouragement, while a beep in the left ear is a gentle warning of negativity, and a call to protect and increase your awareness. The Messages of Angels can also be tuned into through your ’emotional guidance system’ and how you feel. Receiving angel messages and psychic information through a sense of feeling is known as clairsentience. For clairsentients, a ‘yes’ response from the angels may come in the form of an overwhelming feeling of love or joy in response to a topic or question. This feeling of joy can also be a more general validation that you’re on the right path and in alignment with your higher purpose and the guidance of the Divine and of your angels. A feeling of dread, tightening in the stomach or jaw, or just feeling uncomfortable may signal a ‘no’ response to a question from your angels. Feeling off in this way may also be a sort of warning from the angels, alerting you to the presence of negative energies, or upcoming situations you need to be mindful of. When you do feel tense, or experience a tightening in your jaw or stomach, pay attention! Call in white light and angels to clear and protect your energy, and be aware about what you were thinking, or the course you were taking, as clairsentience is a common way to receive guidance from the angels. Simply knowing is a common way to receive messages from the angels and the Divine. This subtle sense of clear knowing is called claircognizance, and when developed can be tuned into to receive accurate and specific messages and guidance from the realms of spirit. When you just know something to be true, without really knowing why you know, you’re receiving information through claircognizance. You may suddenly know the answer to a question, or receive insight and understanding into the past, present, or future surrounding a situation. If you do suddenly seem to know about a situation without any external validation or logical confirmation, pay attention, this very well may be guidance from the angelic realm, and as you become more and more aware your sense of clear knowing it will become more and more clear and easy for you to understand and well, know! Answers to your questions and guidance from your angels may come to you in the form of mental images, symbols, or as a mental scene unfolding much like a memory or movie being impressed upon your third eye. When you receive mental images, and see pictures or symbols in your minds eye, you may be receiving the angels messages clairvoyantly. Clairvoyance is the subtle psychic sense of clear seeing and is a common way to receive messages from the angels. Visual angel messages are often symbolic, such a seeing a green light, which you may then interpret to mean go. If you see a cornucopia, or a treasure chest when asking about a new business idea, chances are the angels are encouraging this idea, by showing you symbols of success. Interpreting clairvoyance is an acquired skill, and so practice, and ask for help from your angels in validating the guidance you see with signs and your supporting senses until you clearly understand the angel message being visually conveyed. Through your psychic sight you may also be able to see the presence of your angels. The angels do sometimes appear as glowing light beings with wings and halos, but most of the time I see them as brightly shining orbs of light, filled with sacred geometric shapes and colors. Just be open to what you’re seeing, even if it feels like you’re imagining it, and your clairvoyance will develop over time. Remember, imagination is active, while clairvoyance naturally and spontaneously appears in response to a question or situation. When I first started psychically seeing, as is the case with many people, it really scared me. Working with the angels to release fear, and asking for their help in clearly seeing Divine Love is a wonderful way to begin to open to your psychic sight, as fear blocks this sense. When angels do appear physically, or you catch a glimpse of them through clairvoyant or psychic sight, they are magnificent to behold. Angels can and do appear in many ways. Sometimes they will appear as you might expect an angel to look, with wings and a halo… But they will also choose to appear in whatever form will best serve. Wings aren’t necessary for angels to fly, as they’re light beings… But they will sometimes appear with wings to represent their ability to deliver messages from the Divine. Angels can appear without wings as well; showing up as humans, animals, or as an archetype like a wizard, shaman, or monk. In my personal experience more often than not angels appear as radiant light beings, glowing with Divine light and unconditional love from within. Now that you know how angel messages appear though your subtle psychic senses, you may still be wondering what this all means for you, and how you can use it to hear your angels messages. When you start asking for help from your angels, and work to increase your present moment awareness, you’ll naturally be able to learn which of your psychic senses are strongest for you now. When you then focus in on experiencing angels in the way that comes naturally for you, this will help you to develop all of your supporting, subtle senses, with which you can gain deeper clarity and expanded messages from your angels. With practice and persistence, you’ll be able to communicate with your angels through feeling, hearing, seeing, and knowing all interwoven together. Keep it simple to start, be aware, ask for help, and ask the angels to give you signs to validate the guidance you are receiving. Your angels want to help you receive their messages, and will work with you each step of the way to make doing so a reality. It's also important to remain open to how your angels communicate with you. This also can change each time you connect, making releasing expectations and just paying attention and being aware even more important. Guidance from the angels comes through intuition in a clear and beautiful way. But, when you’re first starting to listen for the angels messages, it may feel like you’re making it all up in your mind. In fact even when you are receiving clear and accurate angel messages, your ego will likely tell you that you’re crazy, silly, or just making it all up! There are however a few key things you can look for to quickly identify when you are tuning into the voice of angels through your intuition, and when you are hearing the voice of your mind. 1. The mind needs to explain… Angel Messages don't! When the angels encourage you to take action, you may find yourself suddenly inspired to do something, without knowing why. Intuitive angel messages don't usually explain why, they just offer the guidance, clear and simple. On the other hand when your mind wants you to do something, it weighs the pros and cons, looks at the choices from different angles and explains the circumstances and situations to explain to you why you should take action. 2. The mind will try to convince you… Angel Messages just appear and then they're gone. While angels will often give you multiple intuitive nudges until you get the message, an angel message will never try to force or convince you to make a decision or take action. Your mind does though and will likely be insistent that you should do something. Angel messages on the other hand are soft, gentle, and really quite easy to ignore, until you realize their power, and start listening to them and seeing their many benefits manifest in your life! 3. Angel Messages are much lighter than the normal thoughts. Increasing your awareness is one of the best way to tell if you are hearing the voice of your mind, or your angels. When you begin to pay attention, you can notice how different the voice of your mind and the messages from your angels feel. Angel messages are vibrationally lighter than mental thoughts. Thinking from the place of your mind takes effort, even if only a little, while receiving an angel message (once you know how) is effortless and the messages from the angels will just naturally appear in your mind in a gentle, easy, and uplifting way. When your mind is at work, your mental body will feel a bit heavier and more active. When you’re receiving an angel message your mind is free, light and clear. There's a good chance you just received an angel message when you just know, feel, hear or see your next steps without any effort at all. Also, Angelic guidance is always positive, uplifting, and inspiring as angels naturally radiate happiness, love and joy. Angels seek to serve your highest and greatest good, and to help you in your path through life… Angels will never judge, condemn, scold, or use fear or negativity of any kind to convey their messages as the mind often does! 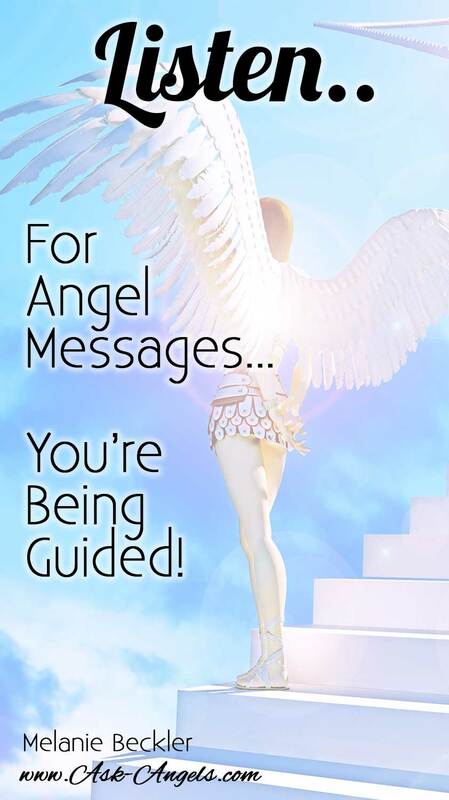 A Can’t Miss Way to Connect With Your Angels Messages! The angels have messages for you… Now you just need to get yourself into the right vibrational frequency state to directly tune into the guidance and angel messages that are available to you now. In the busy, chaotic, and often spiritually disconnected world we live in today, tuning into the right frequency to hear the messages of the angels can be challenging… It may even seem downright impossible to some. But I’m here to tell you… It’s not! Today, I KNOW for certain they are real, and that they are always with me. I know this, because I have gone through the process of opening my subtle psychic senses, opening my heart, and attuning to the right frequency to directly experience the presence of angels, and to receive their guidance and angel messages directly. I would love to help you learn to do this too because receiving angel messages is so empowering. Working with the angels has changed my life in the most powerful way and I know they can help you to align with greater joy, love, abundance, and fulfillment too. And learning to tune into angel messages for yourself might even be easier than you think. One of the biggest challenges blocking most people from hearing their angels’ messages is a busy, cluttered, and distracted mind. Few people take the time needed or put in the effort to take control of their mind, and focus it in a way so they can tune into the uplifting vibrations of the angels and the higher realms. The good news is, through the work I am now doing with the angels, you will not only receive guidance quieting your mind, and attuning your energy to the angelic realm so you can effortlessly have an experience with your angels right away… But you will also energetically pave the pathway to the angelic realm, so you can quickly start receiving your angels messages directly too… And of course tune into their presence, and incredibly uplifting, healing, and LOVING energy, which can sometimes be even more powerful than the specific words uses to convey their messages. My work with the angels revolves around delivering their high vibrational messages, of love, guidance, and healing frequency. Essentially I enter into a meditative state, and using a sacred process, through my open heart I lift in vibration and ascend into alignment with the angelic realm. Then through the clear intention to connect with the highest, most loving, helpful, high vibrational, guides and angels who can most serve in alignment with the Universe, Source Presence, the One True God, Jesus, and in alignment with the highest vibration of Light for the wellbeing of all… I connect with the angels. Then one word at a time, I deliver their messages. I record these messages using a high quality microphone and audio recorder, so you can listen to them. And the really cool part is that angels transcend time and space. They can be in multiple places at once and with EVERYONE who calls upon them at the same time. The angels who were present with me as I received the message, will be right there with you when you listen. Just by listening to these angel messages, you will tune into the incredible frequency broadcast by the angels and you will actually tune into the high vibrational love of the angels themselves. When you listen, they will be present with you… In a very real, safe, and yet incredibly powerful way. This will have an automatic cleansing effect for your energy, it will help you to raise your vibration, open your subtle psychic senses (if you are willing), and align you with so much goodness. Plus, in addition to the ENERGY, there is an actual message, clear guidance, and truly incredible love. Once I record the angel messages, I mix in beautiful meditative music, to further support you in getting into the right energy, and mindset to experience the messages of the angels. I could keep talking about angel messages, and describing the process to you, but really the best description is through your own experience, because we all experience angels a bit uniquely. As I mentioned above, receiving angel messages for yourself is so much easier when your mind is calm, your emotions balanced and your vibration light and clear! In this free angel message with Archangel Michael, all you have to do is relax and listen as Michael gently and yet effectively cleanses your energy, and elevates your vibration. Click play below to watch this video angel message now! When your mind is calm, and your heart open, you're in the perfect energy to connect with your angels so you can receive their messages! However, if you're like most people, opening your heart may seem challenging. Often there are layers of hurt, pain and even fear keeping your heart from opening and keeping you from accessing the messages of your angels. In this free video angel message, Archangel Michael connects to lovingly support you in opening your heart chakra (the doorway to the angelic realm) in a safe, powerful, and easy way! Listen to this powerful heart opening exercise by clicking the play button on the video below! The truth of your nature is that you are a powerful spiritual being who is directly connected to the Divine. By tapping into your spiritual power you are able to easily link with the realms of angels to hear their messages. In this angel message Archangel Gabriel connects to lovingly support you in letting go of illusions, and density you may be holding on to so you can reveal the full brilliance of your inner light, and your true spiritual power, which of course includes being able to receive angel messages! Click play on the video below to listen to this message with Gabriel now. 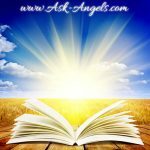 If you've ever wondered about how to read angel cards in a way that you receive direct messages from angels… Beyond just looking up the descriptions in the angel card guidebook, this post is for you! Numbers are a common way for angels to communicate their messages. Learn how the number sequences you see may carry messages from the angels, and gain a deeper understanding into what the messages mean. Learn seven simple techniques you can implement right away to boost your connection with the angels so you can hear and know their guidance. Do you want further insight into invoking angels into your experience? This article covers 5 ways you can invite angels into your life… Fast! Number four may surprise you. Learn what pendulum dowsing is and how you can leverage this ancient tool to strengthen your connection with the angels and begin tuning into their messages now. Angel cards are a wonderful way to bypass the filters of the ego mind and begin tuning into the messages of the angels right away! Click the link above for a free angel card reading… Or to access the Ask Angels Oracle Card App! Finally, if you're feeling ambitious and ready to jump in and make receiving messages from the angels for yourself a realty, click the link above to check out the Angel Course on How to Receive Angel Guidance. In it you will receive direct channeled information and frequency to cleanse your energy, and help you connect with your angels messages now! P.S. 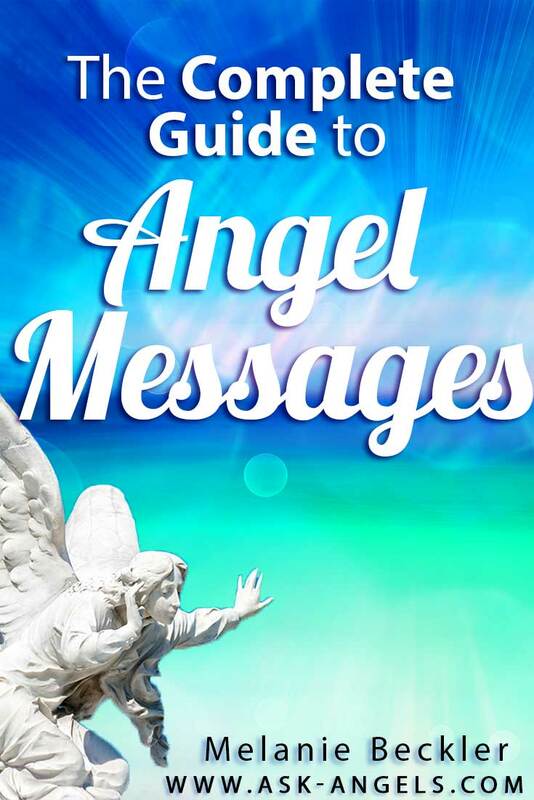 Did you enjoy this Complete Guide to Angel Messages? I love hearing from you… Be sure to leave me a comment below and let me know! Melanie, thank you very much! Angels of mine guide me. I love this site, very useful and informative. My question: My date of birth is the 03rd of November and on reading about this my Archangel is Sealiah a fallen angel. Just not sure about this? please put my mind at ease. Dear Melanie,i believe I am finally breaking through some of my barriers and obstacles at last,i have your angel card app,i absolutely love them,i asked mother earth to help ground me and then I asked if all spirit guides and angels that could best help me now to come forth and shield me with their protective light and help me get an accurate card reading on what I needed to do to access all my true gifts,i clicked on shuffle cards and the strangest thing happened as I started to go through the cards for my reading I tried to click on several of the cards but I was not allowed to pick them,and cards actually sorted them selves out in to the position for my reading,again they told me to continue how I have been and NOT to rush if I’m not sure about were to go,and they told me I needed to trust my instincts more and open my heart more but all in all was a good reading,i no the angels intervened that day,when I had finished I thanked them for there assistance,since then iv noticed that my gifts are starting to work more,i have become extremely emotional and sensitive again,and without knowing how have just known things,and iv sensed angels around by smells first time from no were a sweet smell like cakes baking and yesterday out of the blue I could smell cherries,this has now made me even more fascinated about angels.. I nees to know to how to call them. I really need their help? Thank you in advance if you have an insight, I have searched and am at a loss for understanding. For many years I have been visited by an energy, I think it may be an angel, but I am at a loss to decipher it’s message. It use to terrify me, especially when it has frantic movements. It mostly comes to me at night when the room was dark but now that I’m more tuned into it I can summon it day or night. It looks like a distorted reality with some tiny sparks of bright light and fluttering energy all around it. I asked myself “Is this real?” and reached out to touch it after many years I was finally brave enough to realize if it hasn’t hurt me yet, I guess it’s not going to. When I reach my finger out to touch it, it feels like a warm, vibration, almost a tingling sensations and it will “sit” on my finger or hand. I can move it from one hand to the next as well as feel all around it. It appears to be about as big as a large glass, but the energy around it can feel larger when I’m touching it. When I move my hand away it will usually hover in front of my face, this is the position it first appears in. It sometimes likes to float over to the right side of me and will come and sit to my right. I sometimes feel vibrating on various parts of my body like my ribs, face, or lower leg usually again on my right side. Once I felt it push my ring finger on my right hand down to close it against hand, just that one finger. Other times I feel pressure on my whole body like a heavy weight holding me down, then I get scared that it’s not an angel but an entity trying to posses me. So, I have tried to ask it, what it’s message is and I send it loving, gratitude now that I feel more safe with it. But it still sometimes seems so urgent and frantic in it’s movements, like it’s trying to tell me something. But as much as I relax and try to be open I hear only silence. Is this an angel? What is it trying to tell me? Any help is very much appreciated. At this moment what do I do about my life? Since I became aware of what it really means to be Awake,.so much has changed within my life,.so much awe,.and an overwhelming feeling of LOVE and JOY.Thank you so much Melanie for what you are doing,.but most of all,Thanks be to God for Him. I Love. I’m a little hesitant about receiving angel guidance, I am always thinking (and I think rightly so) that it might be coming from the ego. It’s hard to know! Being a scientist and a skeptic, I can really only verify something if it seems to work frequently, affect my emotional states/bring devotion to god, or make logical sense. I feel a lot of peace when I hear certain songs. How can I receive more signs from my son’s who have both passed away through what angel? I am ecstatic to have found your site! I found it in a roundabout way. I have been stressed lately about my purpose for being here. Asking out loud too. I figured no one heard me, nobody cared. I am beginning to realize that the questions I have really do get answered. I dream often. I had a dream of dancing with Raphael. So much love. I mean real love. I have always longed for that, you know, real love. Tonight, I thought “I wonder if an archangel can be an angel guide”. So I came to your site. Lo and behold you have an answer to Jens about her purpose. It has struck a chord in me. I thank you and my guides with all the love in my heart. I now feel at peace!!! I just took a look, and apparently the kingfisher predicts a magical experience. How do I know which Archangel I’m attach to. My grandma, very religious woman said I was named after Michael and that’s who our family is insync and attach and protected by. I believe in Angels and many times I experienced their presence and so one day I started thanking them in my each prayers. Great article, thank you. Any advice on what to do if we get scary images that are obviously but from our angels? Other than asking the angels for help and guidance? Surround yourself with light… Call upon Archangel Michael to cleanse and protect your energy… Releasing any lower vibrational energies within, and around. Return to love, and begin again. ive been trying to connect with my angels but am not sure if I am! Can I ask for help for someone other than myself? My husband gave me a angel pendant that said on the back (I will always be by your side) He passed away from cancer. I asked for a sign that everything will be OK. I seen in the clouds a picture of that same angel with a heart under its feet. I wish I could share this picture. His last words to me were stay strong we will get threw this. I wantmore details. How to contact angel.pl guide me. My dog is now 17 years old and we love him so much and I know he cant be around forever. He was sick for a while and we thought he would have to be put down. But as I left my home and on way to the vet nearly every cloud I saw looked like him it was unbelieveable, my daughter who was in another part of the country rang me and was crying saying she could see him in the sky. He is still with us nearly a year later. But I wondered was it angels telling me it wasnt time for him to go.. I really love knowing about -Angel messages!! I truly believe they exist and they are here to help us go through our journey in life. I love my angels!! I often feel the presence and the healing. Often when I ask a question, I hear/ feel the response, but it is such a subtle and light energy I can’t make it out. I can feel them speaking to me, but I don’t know clearly what they are saying. This is common by the sounds of things. Then other times, sometimes as I am falling asleep I clearly hear the voice.